Since 1982, Spectra is your global source for used, new and refurbished NetApp FAS2600 filer heads and storage systems. We also provide 3rd party maintenance and support services. Spectra is a storage specialty shop – We carry a vast inventory for NetApp systems, techs on staff, and have over 40 years combined in-house experience. systems. We are a leading third party provider for NetApp Maintenance. Please visit our Maintenance page to find out more! The NetApp E-Series family of storage systems are ideal for your high-performance and data-intensive bandwidth applications that require enterprise-grade reliability. These hybrid-flash storage systems provide high IOPS, low latency, and high bandwidth for your demanding environment. 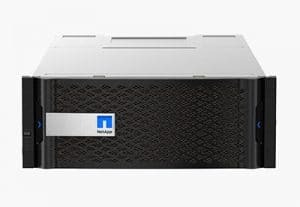 As the industry’s most flexible enterprise-grade storage system, the NetApp E-Series family of storage devices can handle multiple drive types in either a 2U or 4U form factor. They also offer a complete selection of SAN interfaces. In short, the NetApp E-Series provides a fast, simple, and reliable family of storage units ideal for your enterprise use requirements. If you can’t find the NetApp product you need, please call us at (714) 970-7000 to determine current availability. For quickest response, please click the buy/sell buttons on the right to complete our request form. Please, if you do not see the Network Appliance system or peripheral you require… Contact us (at the phone/e-mail below) as our inventory and available product changes daily! SPECTRA sells certain Network Appliance products but is not affiliated with or endorsed by Network Appliance.